Grace Whispers: Bring all of your cares and concerns to me. Don’t try to bear them alone; they will hurt you, but I will HEAL YOU… if you let me. My new book, “My Return Home to Innocence,” (found on Amazon), Chapter 15 entitled, “It’s My Fault.” The chapter talks in-depth about one of the 27 traumas that attributed to my Post Traumatic Stress Syndrome (PTSD) and Dissociative Identity Disorder (DID). When I was four years old, my mother, (not understanding the impact it had on me) responded to my first sexual abuse encounter by stating, “You should not have been there in the first place.” From a four-year-old’s perspective, I believed from that moment on, when something bad happened to me or those around me, it was my fault. I carried the guilt and shame of my past mistakes, and those around me, all of my life, until I got healed from my traumas. When I was in the Air Force, my job was a Student Trainer and Advisor (STA). I was responsible for ensuring the safety and training needs of the students in my squadron. Normally, STAs marched their students to school each morning, but in the Drum and Bugle Corps and Drill Team, they could walk to school alone if they desired. One day, thunderstorms were in the forecast and we were to brief the students on the protocol of staying away from metal buildings and crossing the flight line during inclement weather. Two of my students left for school early. As they walked across the flight line to go to school, they were both struck by lightning. One was killed instantly, the other one died a few days later. That was such a tragic event, they were only 19 years old. Because I was one of the two STAs in charge, we had to console the students and their parents then fulfill our regular job requirements. By God’s grace alone, I continued in my position but suffered emotionally and mentally from the guilt of it for years. My commander never offered the STAs counseling or time off after the incident, therefore we had to bury our pain and continue on; that’s what a lot of us have done to survive for years; rather than talking to the Lord or getting the help we need. We think of it as being strong, but in reality, it has made us emotionally weak, vulnerable, and anxious. We shut down emotionally from pain and communicate on the surface. We learn to manage the pain by avoiding similar circumstances. We become angry and bitter with those around us who have nothing to do with our pain. We get busy and find ways to escape. We find ways to stay in control to protect ourselves. We become overly protective and controlling of others. Avoid circumstances or social situations that remind me of my experiences (triggers). I am moody, depressed, and anxious. On alert, difficult to relax, especially in social situations. Have flashbacks of the trauma or circumstance. Have sleeplessness or insomnia, stomach issues, and other medical issues. Have bad dreams that replay over and over again. Can’t shake negative feelings or thoughts no matter what I try to do. Try to manage my thoughts by drinking or drugs, or other ways to keep me distracted, or busyness, even for the Lord. Startled easily by sounds, noise, or movements. Find it difficult to recall events or forget easily. Feel hopeless, poor concentration, poor self-esteem, or self-image. Lack of motivation for life or suicidal. Unable to connect emotionally or spiritually. Feel God is at a distant, unable to understand me or love me because I am so messed up. Try hard to please God by being vigilant, constantly busy to please Him (all fear based). Fake it or pretend as if all is well, but deep down suffering in silence. In Children – temper tantrums, irritability, anger, difficulty concentrating, socially withdrawn, aggressive behavior, impairment in relationships with parents, siblings, teachers. Cognitive Processing Therapy – Talking with a therapist. Prolonged Imagery Techniques – Light exposure, imagery, and talking about trauma in a safe environment. Aromatherapy – Fragrances that help you relax and focus. Exercise – Helps release endorphins in the brain and helps to manage the stressors of life. Art Therapy and Play Therapy for Children – Drawing and painting help you to relax. Play therapy helps a child feel safe in their world so they can talk about their challenges with a therapist. Pet Therapy – Helps a person to deal with the onset moods of PTSD. Research showed spending one week with a dog improved a person’s symptoms up to 82%. Above are some wonderful ways to help us cope and manage life living with PTSD, but for me, I didn’t want to live with PTSD any longer I wanted to become whole again. The Lord promised me “I will restore your soul.” And, that’s what He longs to do with each of us. One day, I heard a report on the news about two men working on a roof of a home in Jacksonville, Florida and got struck by lightning. After burying those memories since 1982, in 2017, those thoughts and feelings of pain and grief of the past overwhelmed me! The Lord was saying to me, “Do you want to bury your thoughts and pain again, or do you want to talk about them with me and let me heal you?” I chose to talk to Him so I could get well! With PTSD, we do whatever we can to avoid triggers (circumstances, or events that remind us of the original trauma). 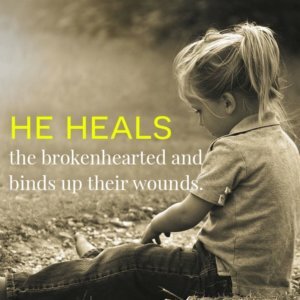 However, when the Lord wants to heal us, He allows our triggers to bring us to Him. The doors of all of my pain swung open, not just with the trauma of the death of my students, but my Lord opened all the doors of my soul of the other 26 traumatic events so we could talk and heal. For over a week, I wrote down each traumatic event in my journal. And as He and I talked, I cried and hurt while He comforted me. Then, I shared with my psychologist in therapy the events the Lord was bringing to light. He helped to facilitate the process. I was in therapy for nine months as our Lord healed me of 55 years of PTSD and DID. He is too AWESOME! 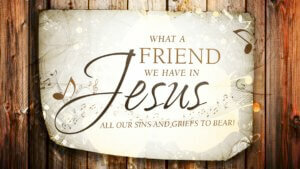 ALL our sins and GRIEF to bear. Sometimes, when Jesus doesn’t heal us immediately from our pain…He will grace us or empower us to live with our illness until He does. I lived with PTSD and DID for 55 years by His grace. So helpful, Tresca. Thank you for sharing.